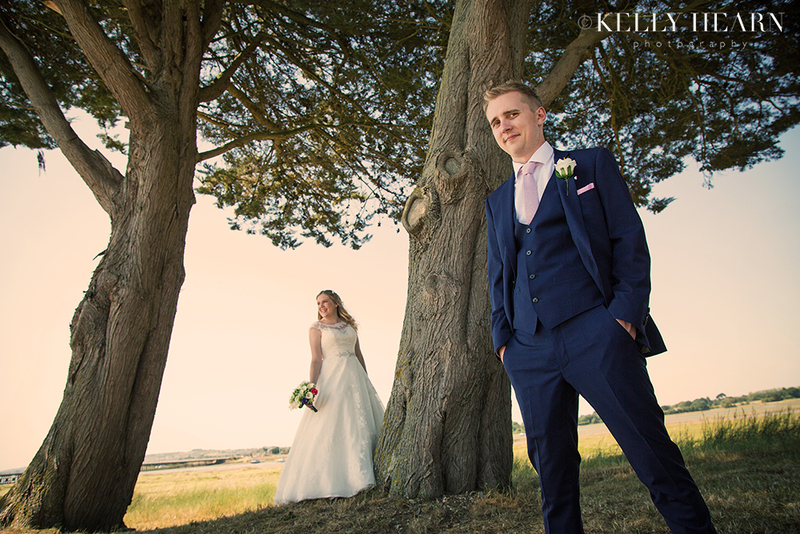 Hannah and Ben tied the knot in the Langstone Hotel which sits on the north tip of Portsmouth’s Hayling Island. With vast seascape views across the Sweare Deep channel, the setting offered a glorious feast of evolving colour and light, as the sea ebbed with the changing tides and the sun glistened across the waters that day. In a venue perfect for soaking up the impressive panoramic views from it’s circular glazed reception suite, the wedding party were treated to spectacular views both inside and out. The clear skies and warm sun melting to the loveliest golden tones, truly created the perfect wedding weather. 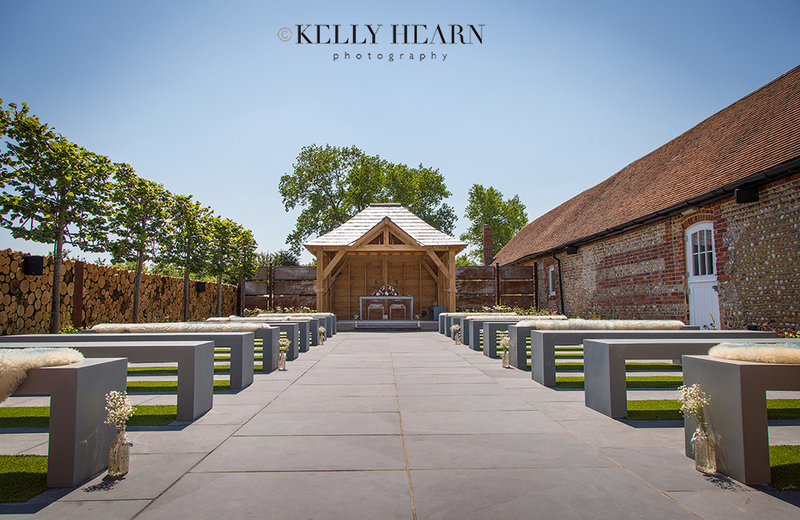 The last day of June this year was steaming hot, perfect for outdoor nuptials and particularly ideal for the exciting debut of the brand new outdoor ceremony area at Southend Barns. Emily and Zach had been planning their wedding for two years and so it was a wonderful surprise for them to discover they could marry in this newly created bespoke space. It had been sweetly named ‘The Secret Garden’ which was due to be finished and ready for use just in time for the couple’s big day. Being a gardener by trade, this tranquil hideaway outdoor area particularly appealed to Zach who would really appreciate all of the rustic textures, including the lush green leafy plants and trees, wooden log feature walls and original flint stone barn walls. The couple felt hugely honoured to find out they would be amongst the first to marry in this beautiful garden space and of course it was a treat for me to have an additional beautiful backdrop to frame the bride and her groom exchanging rings and promises. There were so many sweet, romantic and happy moments that filled this warm June day - so much so, that it was difficult to shake off the face-ache from the perpetual smiling that we all seemed to be engaged in! Jade and Sam married in the light and calming Dairy Barn that regularly plays host to brides and grooms celebrating their nuptials at the effortlessly charming Southend Barns. 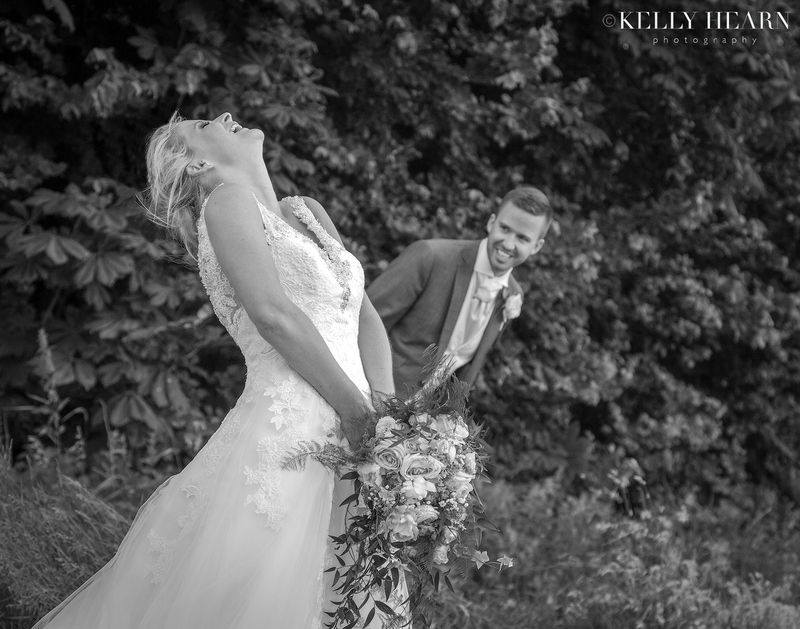 For friends and family of Jade and Sam, the scene was set that day - not just by the beautiful south coast countryside surroundings and pretty pastel notes in the decor, but helped along by the couple’s natural and fun approach to the day filled with their warmingly contagious laughter!